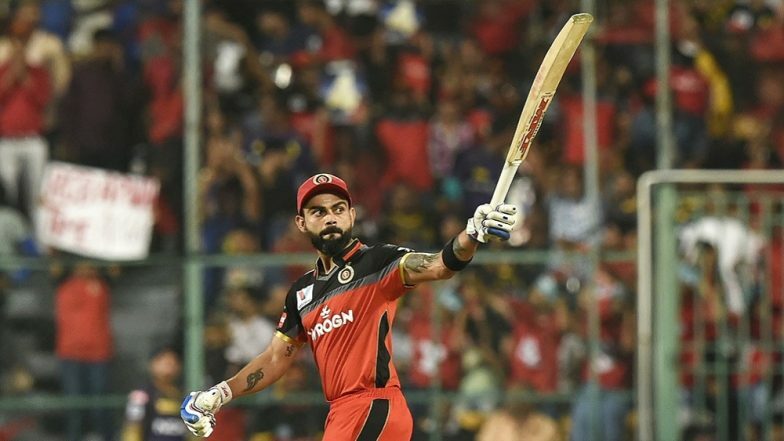 In another feat for Virat Kohli, the Royal Challengers Bangalore (RCB) captain on Friday succeeded in becoming the highest run scorer in the history of Indian Premier League (IPL), surpassing CSK's Suresh Raina. Even as Kohli added another record to his cap, he fall 16-run short of a century -- which would had signalled his return to top form in a style. With his 84-run knock against Kolkata Knight Riders (KKR) today, Kohli has scored a cumulative total of 5,110 runs in IPL, whereas, Suresh Raina stands at the second spot with 5,086 runs. Read Full Match Report & Scorecard of RCB vs KKR. Before his departure, Kohli, along with AB de Villiers, took the Bangalore side in a dominating position. The 108-run partnership of Kohli-De Villiers, of 58 balls, drove RCB to pose a target of 206 to the KKR. For the RCB, a win is desperate in today's game as the Kohli-led side has lose four matches in a row, without tasting a single win. For KKR, all eyes are fixed on how the batsmen perform after a lacklustre display by the bowling unit.